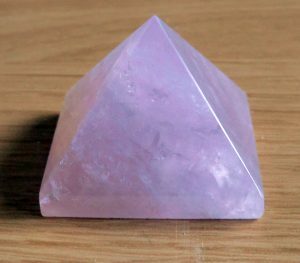 We have been lucky enough to get a limited supply of highly polished and very beautiful crystal pyramids in a variety of stones. 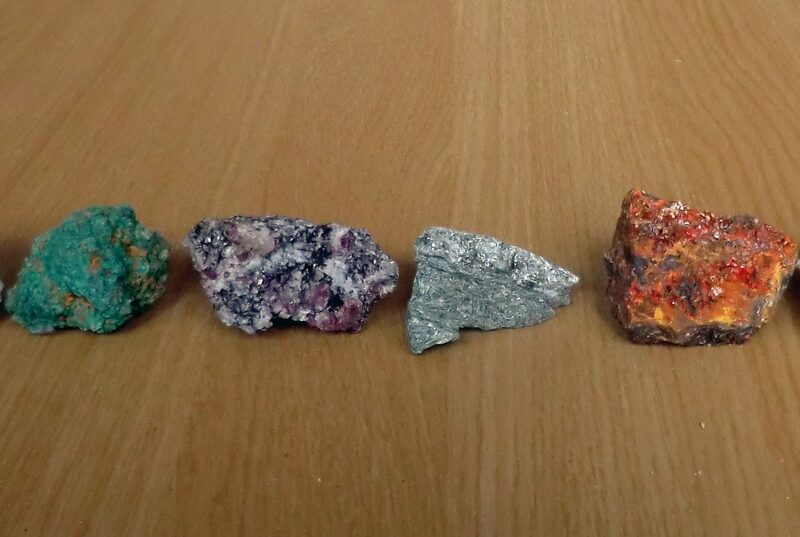 Some of the pyramids we can easily identify as rose quartz which is pink, unakite which is pink and green and rhodonite which is pink and black. Others we are not so sure about, but they are all very beautiful. 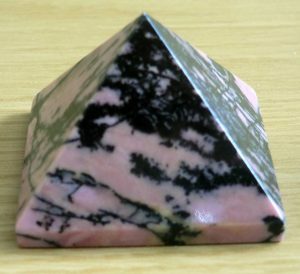 These pyramids have a base about 37mm square (about 1.5 inches). There are around forty crystal pyramids in all. 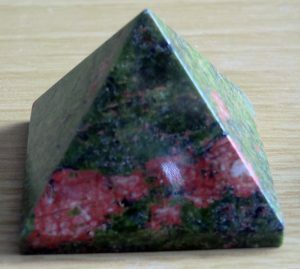 Unakite is named after the Unakas Mountains in the USA which is the place where it was first discovered. It is a form of altered granite. The pink portion is feldspar, the green is epidote and occasionally there is also a clear quartz portion. Rhodonite is a manganese inosilicate. It is normally pink with veins and patches of manganese oxide running through it. Rose quartz has an attractive colour because of traces of titanium, iron or manganese in otherwise clear quartz. 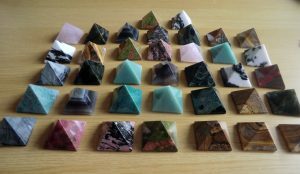 We also have a stock of onyx pyramids. Onyx is a banded form of chalcedony which is silicon dioxide also known as silica. 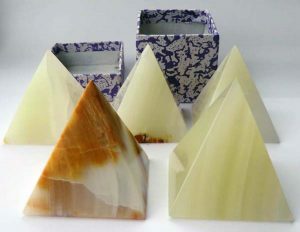 These pyramids have very attractive banding in a range of creams and browns. We are uncertain of the exact crystals used to make some of our crystal pyramids. If you can help by identifying any of them from the photos that would be much appreciated, please leave a comment or get in touch. Thank you in advance!